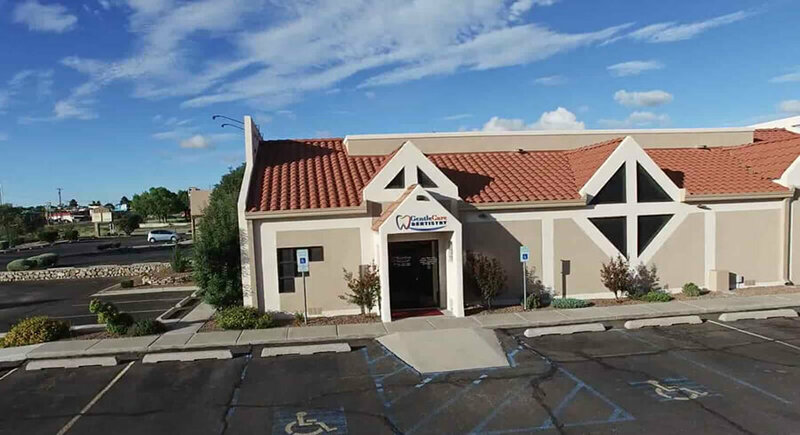 Serving the dental needs of Las Cruces for over 30 years. If you are experiencing sharp or dull tooth pain, your dentist at Gentle Care Dentistry can help alleviate your discomfort. After determining the cause of your toothache, we can provide the appropriate treatment to bring immediate relief. During our six-month check-up appointments, we offer an array of services for extensive dental treatment and meticulous preventative care. Our specialists can also demonstrate effective dental hygiene practices for optimal at-home maintenance. We are proud to offer our patients same-day dental crowns. CEREC allows us to design beautiful, customized dental restorations in-office using digital impressions and cutting-edge milling software. A new metal-free restoration is created and placed in one visit. Welcome to Gentle Care Dentistry, where we have been delivering quality, affordable, and comfortable dental services for over 30 years. We understand the importance of creating a friendly and comfortable environment for our patients to ensure they have a positive and relaxed experience. Our practice utilizes the latest dental technologies available to give our patients the radiant and healthy smiles they desire. Preventative Fluoride Treatment, and Cosmetic or Implant Consultation – all for $179! Friday & Saturday: 8:00 a.m. – 5:00 p.m.